Feeling like you're not growing in life, career or business? This involves analyzing your idea of life fulfillment. Self-improvement is as easy as simply getting up a few minutes early, re-arranging your schedule or letting yourself laugh. However, sometimes it?s hard to know where to begin on your journey towards self-improvement.Which is why I have created a guide to help you in this area. Health and Fitness Self-Improvement Tips. There?s no better place to start self-improvement than with your health. After all, health is one of the most important aspects of life. Taking care of your health is the first step on the road to self-improvement. Spirit, Mind and Soul Self-Improvement Tips. It?s not just about your body. In order to improve yourself, you need to improve your mind, spirit and soul as well. Self-Improvement and Productivity in the Working Environment. Your career takes up more than 1/3rd of your life. Most people work at least 40 hours each week. This is why career success lies so heavily on the other aspects of your life. 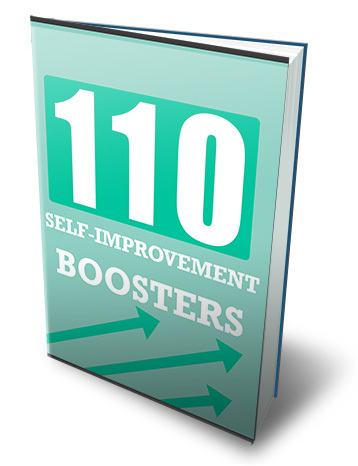 Self-Improvement Steps and Your Finances. Family and Relationships Self-Improvement Tips. These tips are meant for both those looking for love and those looking to re-solidify and strengthen their relationship in order to improve their life fulfillment and their self importance. Reaching your Goals: Self-Improvement and Success. One of the best ways to self improve is to accomplish your goals. This can lead to pride, to self-respect and to a better sense of responsibility. You You You! Self-Improvement Tips for Your Overall Well Being. These uber uplifting and furiously fun self-improvement tips are for you and you alone.